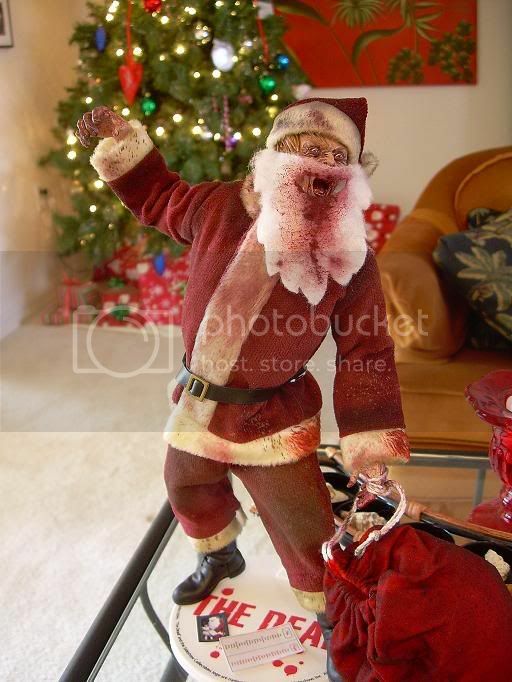 Happy Holidays from the Dead Santa! 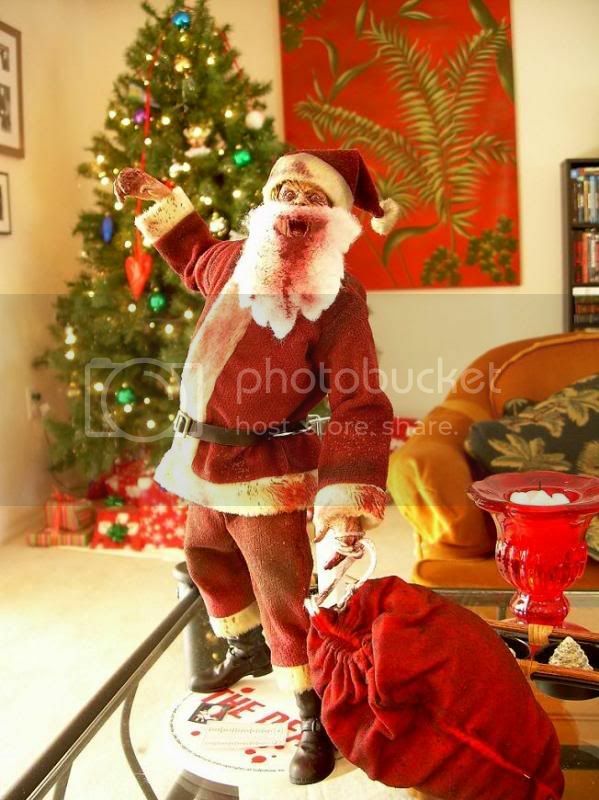 I have this displayed in my living room, it's my repaint of the deshow collectibles Dead Santa figure... 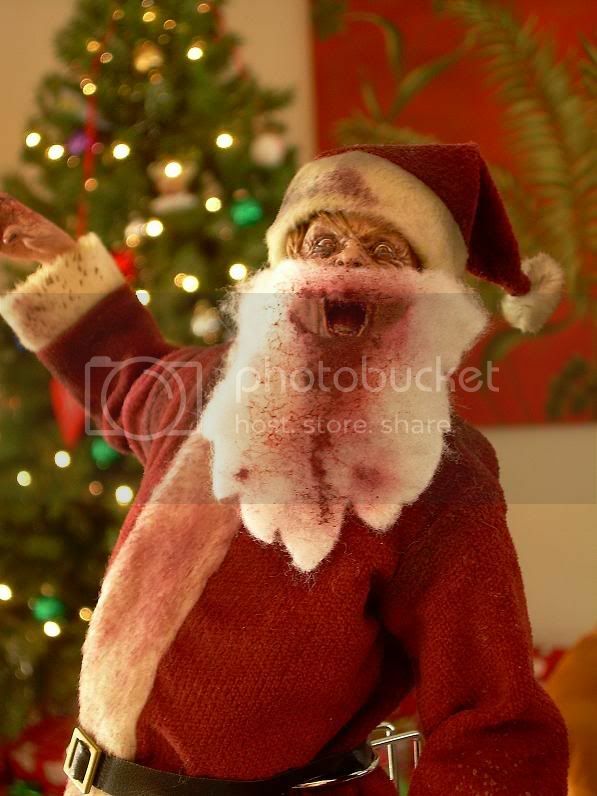 Thought I would share this with my Horrorbid buddies! 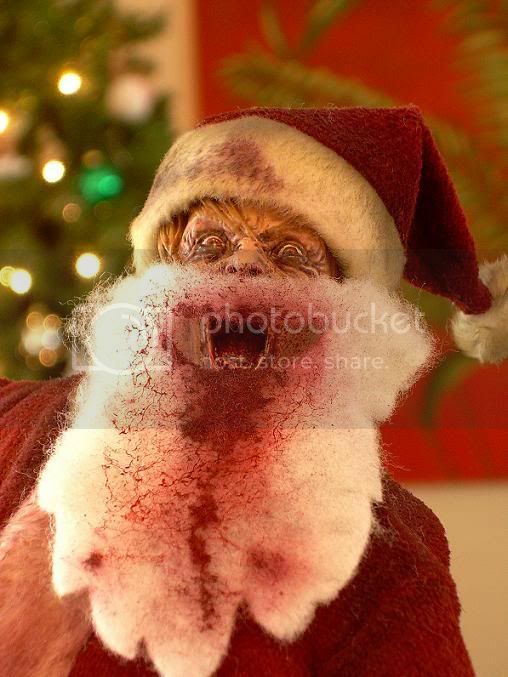 Tis the season DA! Love it!!!! I had this on my shelf and just HAD to paint him up. 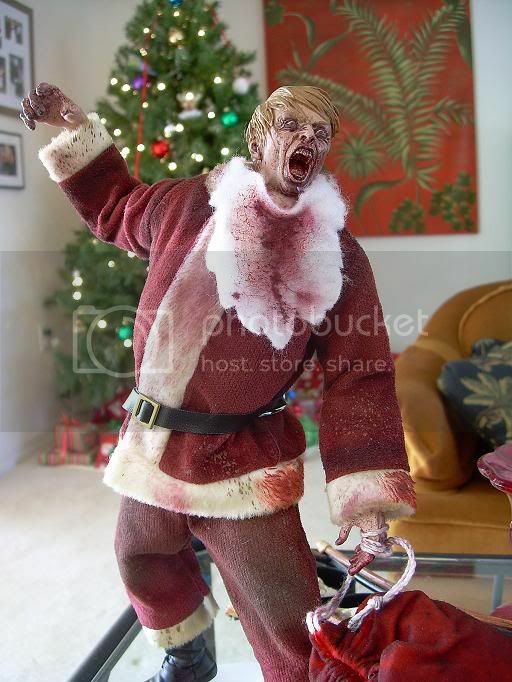 Such a sweet figure, and a great creepy Christmas decoration. 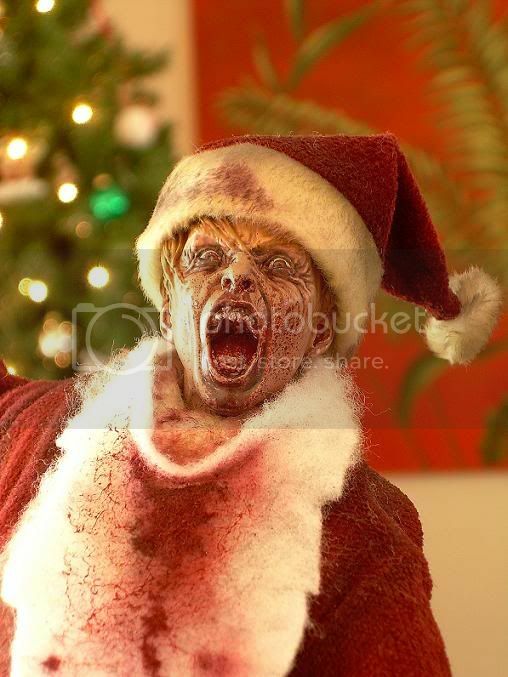 Nothing like a zombie to get you in the Christmas Spirit! EDIT: I just looked at the original figure on deshow's webte. Your repaint really brings this figure to life! Would look great on my fire place mantle!!! Thanks a lot guys, I really wanted to fix his hair and also give him that arterial spray on his mouth, like he got sprayed by a cut jugular between bites. 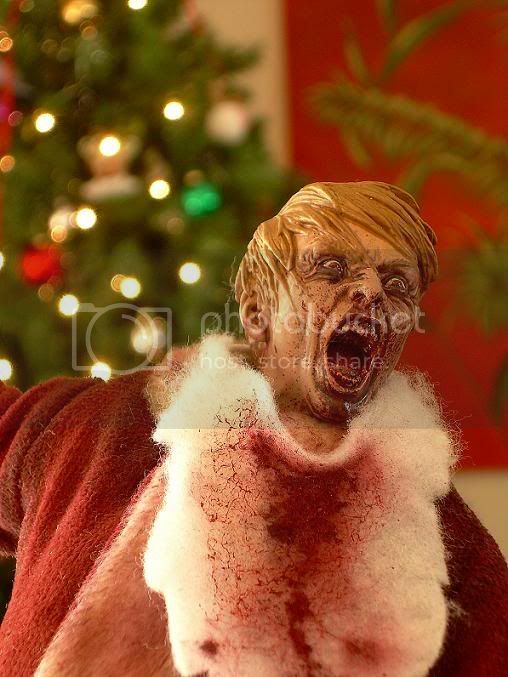 I've always wanted to paint up a zombie Santa, so this was a joy all around. Never seen it before, and love it!